Mike’s Custom Flooring supplies hardwood flooring services to commercial businesses and residential homes of Eastern Panhandle of Berkeley and Jefferson Counties in West Virginia along with Frederick, Loudoun and Fairfax Counties in Virginia. We are based in Charles Town, West Virginia and we are fully licensed and insured carrying over 25 years of fast, friendly and excellent customer service. Mike’s Custom Flooring use premium quality products, equipment, tools, and supplies offered exclusively to licensed professionals. We compliment these tools with our expertise and skills to ensure we deliver superior execution to all of our valued customers. Mike’s Custom Flooring offers inspection service of your hardwood floors through the businesses and homes across Eastern Panhandle of Berkeley and Jefferson Counties in West Virginia along with Frederick, Loudoun and Fairfax Counties in Virginia. 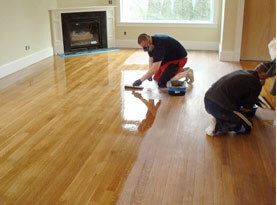 The hardwood floor in your home or business can add value and enhance the esthetics of any room. If properly cared for with appropriate maintenance, both individually and with the assistance of a professional, your hardwood floors can last far beyond its intended years. But if something occurs during installation or maintenance, it is always wise to seek the aid of a professional hardwood floor inspection service and Mike’s Custom Flooring provides such a service. Common problems Mike’s Custom Flooring are called upon in residential homes and commercial businesses are often only underlining problems that have escalated into major problems. 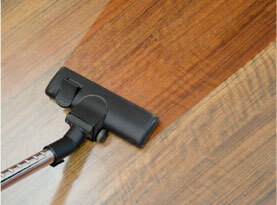 During an inspection from Mike’s Custom Flooring, we meticulously inspect every square inch of your hardwood floors. In many cases, we find these common problems listed below. –	Cupping: Frequent issue in engineered wood and solid hardwood floors, cupping occurs when the sides of flooring are higher than the center of the boards, which then causes the surface of the board to form a concave shape. –	Crowning: Crowning is the opposite of cupping when the center of a board is higher than its edges. –	Gaps: Gaps often are a problem at installation, or can even develop over time when the boards shift and are not fitted snugly. –	Splits-checks: Usually inflict hardwood floors due to overly, long term drying of the boards. 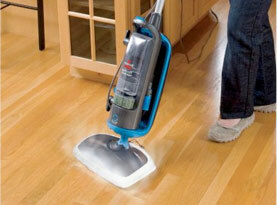 –	Finish problems: This can happen at time of installation or when a maintenance refinish is not properly performed. When hiring someone to inspect your hardwood floors, rather than hire a general home inspector, Mike’s Custom Flooring recommends you find a professional that not only has the inspection credentials but also runs a hardwood contracting business. 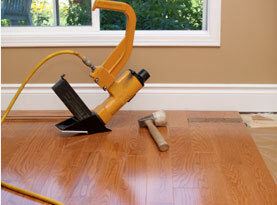 Mike’s Custom Flooring has seen and fixed just about all of the possible hardwood flooring problems over the years. We have studied and tested to correctly find and correct the root of the problem. Mike’s Custom Flooring can perform a specialized inspection service, and give you a comprehensive report on our findings as well as offer recommendations and solutions to issues found.